Dave and I took a hike at Lyon County State Fishing Lake this weekend and we came across this tree that is about to fall, thanks to work of resident beavers. Wow! 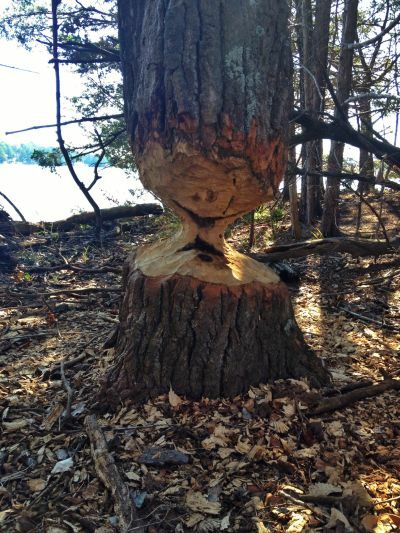 That looks like an accident about to happen, but how neat that beaver’s do this. I just hope they get out of the way when it topples.